These presentation slides 46519 are complete compatible with Google Slides. Simple download PPTX and open the template in Google Slides. 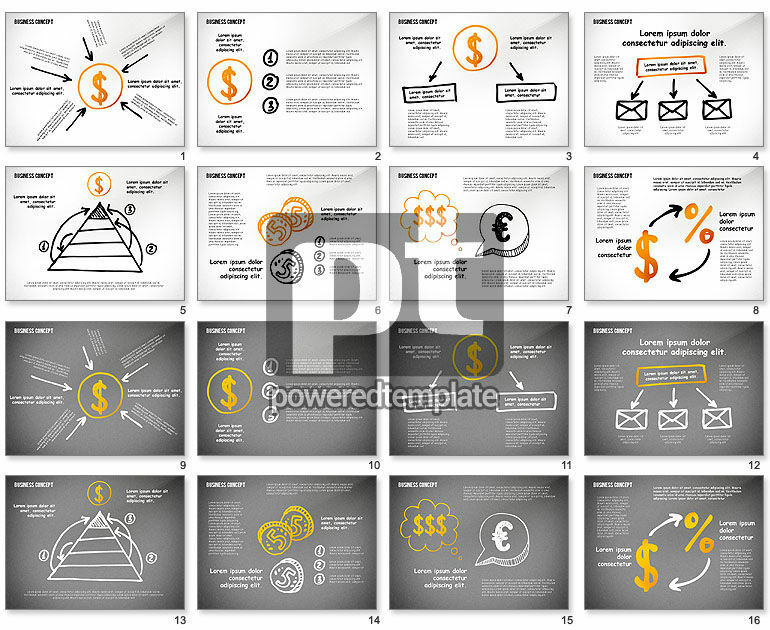 Don’t miss a chance to use this stylish doodle template dedicated to finance and relative issues. Created in a nice hand drawn style, it has many cool elements which will help you to broaden your presentation with pictures. It has a pyramid, money, envelopes, coins, percentage and others in two color palettes. Your audience will be glad to meet your financial report presented in a stylish way.